@mannmademusic: love this. whats name of this record? omg?! :)) anyone could ID the track? @chezz_010: Please, what is the track i.d. for this uplifting jam?? Great mix! Somebody please ID first track. He's just amazing! THANKS EVERYBODY AND PROPS TO ALI!!! This mix kept me going when I was really busy, and the magic is still working! Thank you for sharing! good to hear some nice driving OOFT! Booooom! Thinking allowed - Tournado Wallace! Love Ali OOFT! LOVE Rose Records! Damn great mix!! Awesome selection. The build on this is sublime. Can I get an ID? 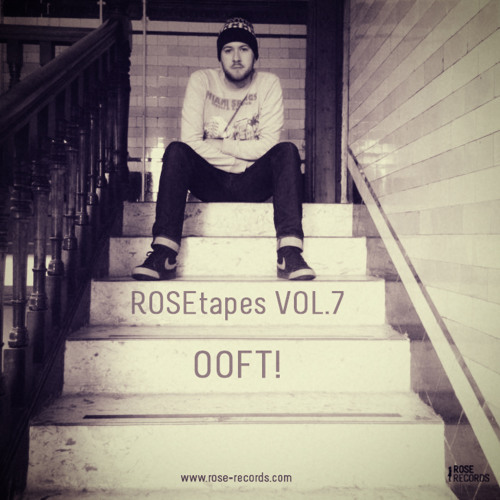 Buy ROSEtape Vol. 07 | OOFT! Users who like ROSEtape Vol. 07 | OOFT! Users who reposted ROSEtape Vol. 07 | OOFT! Playlists containing ROSEtape Vol. 07 | OOFT! More tracks like ROSEtape Vol. 07 | OOFT!